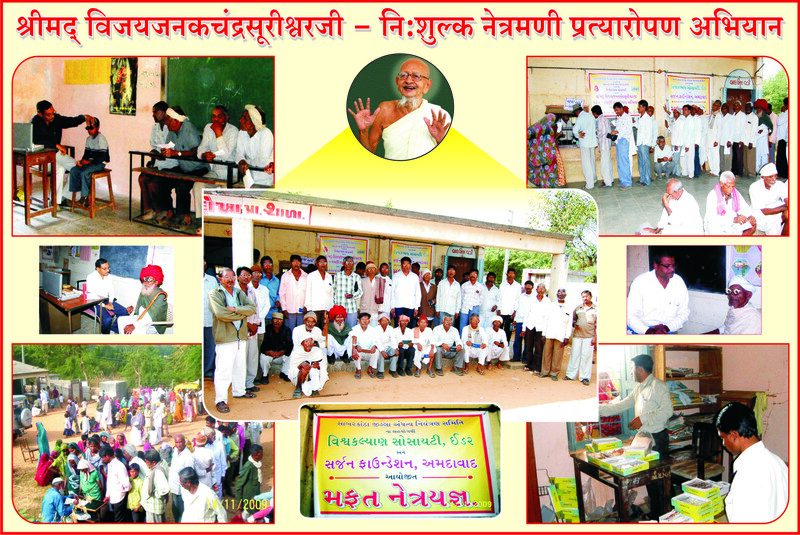 Vishvakalyan Society is a secular, not for profit organisation, established by a Surgeon by the donation of gratuity and provident fund of his parents to provide Health care to backward and tribal blocks of Gujarat and Rajasthan states in India either free or at affordable cost in 1988 following the preaching of lord Mahavir - Humanity, Reverence and Compassion. 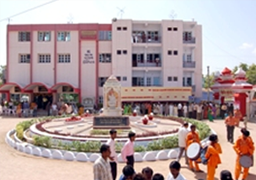 Atmavallabh Hospital was begun in rented premises as small Surgical Clinic in 1991. 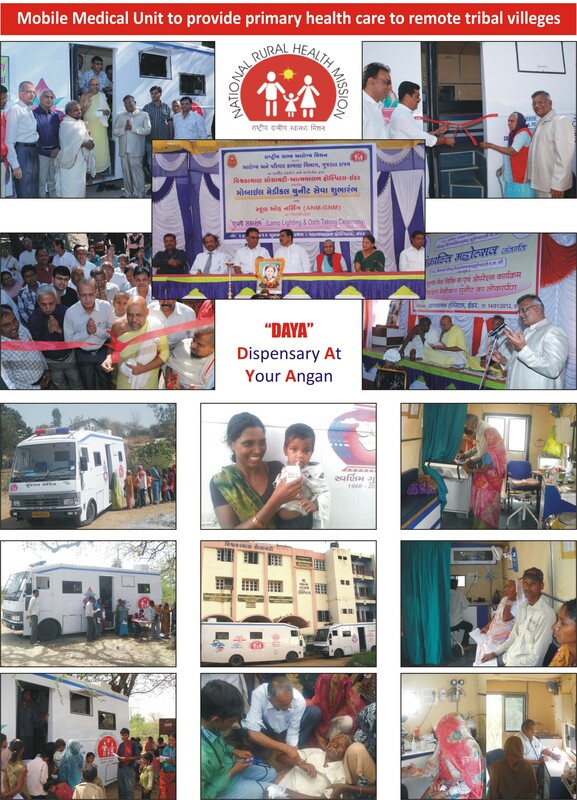 It has grown into a 100 bed multidisciplinary Hospital, affiliated with Nursing and Paramedical Institute and flanked by Mobile Medical Units by the support of every section of society, government and NGOs from India and abroad. Service to sick, needy, disabled man & animal is also worship of God – Mahavir. 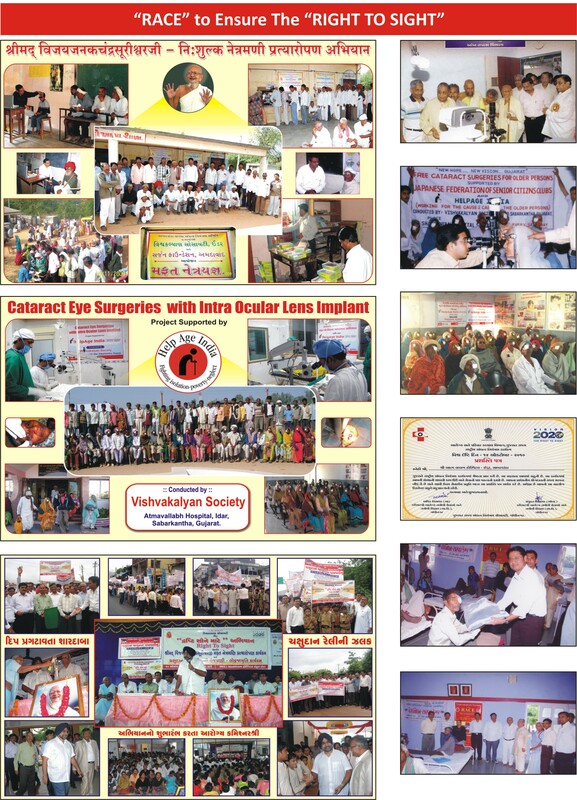 Every year it serves 80000+ persons per annum of which 80% are treated free. 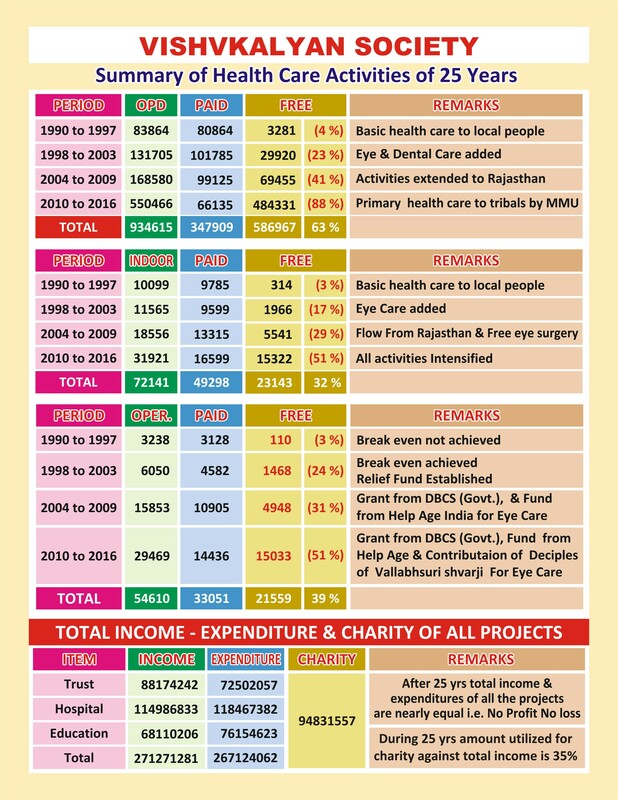 It also conducts 2000+ cataract operations free and train 300 youth to be qualified paramedics or nurses. More than 80% of beneficiaries belong to schedule caste, schedule tribe or other backward classes. Wanted Full Time & Visiting Doctors - Gynecologist, Pediatrician, Physician, ENT, & Orthopedic.